Ethics laws prevent Walden from hiring family members. But his campaign does so freely. 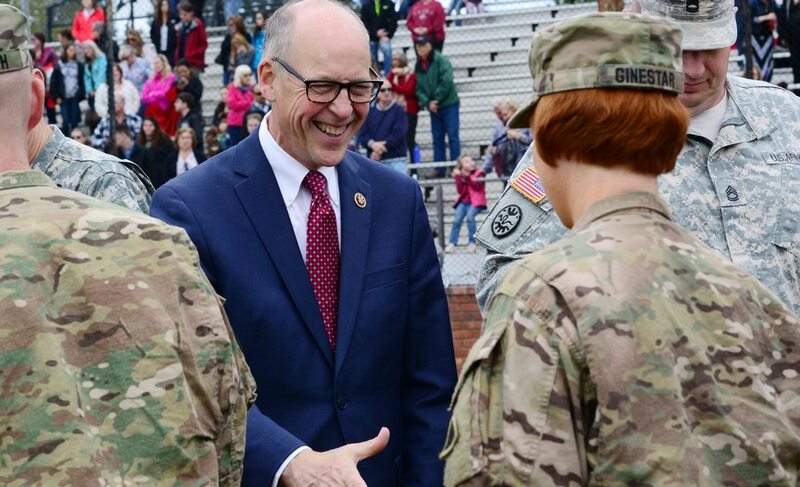 U.S. Rep. Greg Walden (R-Ore.) uses campaign funds to pay the salaries for two members of his family. Walden's campaign employs Marta Simons, sister to his wife, Mylene Simons-Walden, as campaign treasurer and chief financial officer of the Walden Victory Fund Political Action Committee. Walden's stepsister Barbara Hosford also does part-time administrative work for the PAC. Using campaign funds to pay family members is legal. But experts worry it can lead to corruption and raises concerns about an elected official's judgment. Federal anti-nepotism law prohibits members of Congress from using taxpayer funds to hire family members as government staff. New congressional staff hires must fill out a form promising they are not related even as an in-law or a step-relative to a current member of Congress. If family members are "appointed, employed, promoted, or advanced" in violation of federal law, they are "not entitled to pay." Far less regulation exists, however, on paying family with campaign funds. Experts say this loophole is the result of a flawed system. "While legal, hiring a spouse or family for campaign work raises questions about self-dealing, and can be ripe for abuse if not monitored," says Scott Amey, general counsel for the Project on Government Oversight, a nonpartisan watchdog group in Washington, D.C.
Walden says he's done nothing wrong. He tells WW in a statement that Simons is an accountant and "expert" in election compliance. "I don't think I could find anyone better qualified for this position," Walden says. "She does an excellent job." Walden adds that Simons ran her own campaign compliance business "for a myriad of state candidates" in the past. He says Hosford, a retired schoolteacher, is an asset to have as an administrator because she "taught and coached so many young people in my hometown over the course of 30 years in the classroom." A former state legislator from Hood River, Walden first won election to Congress in 1988. Oregon's only Republican congressman, he represents the largest district by land size in Oregon and the seventh-largest in the country. Related: A group of retiree bikers provided security for Rep. Greg Walden's office in Bend. Walden is one of the most senior members of the House Republican caucus. House Speaker Paul Ryan (R-Wis.) named him chairman of the powerful House Energy and Commerce Committee earlier this year. In that position, Walden helped introduce the GOP's effort to repeal and replace the Affordable Care Act. Because of his leadership position, Walden heads three PACs (most lawmakers have just one). Representing an overwhelmingly Republican district, Walden has never faced a serious challenger and has instead been free to focus his fundraising prowess on helping fellow Republicans win election. In the past two election cycles, during which he chaired the National Republican Congressional Committee, Walden's PACs have raised almost $10 million altogether. Less than halfway through the current cycle, Walden has raised more than $3.5 million. Almost three-quarters of that revenue, $2.5 million, comes from Walden for Congress. A small portion of Walden's impressive campaign funds has benefited his family. Since Walden hired Simons in December 2007, she has been paid about $429,000 in salary. Hosford has made more than $12,000 since April 2016. Since December 2013, Walden for Congress has also paid more than $51,000 to Moda Health for health insurance. It is unclear how much of that sum benefited his relatives. Walden is not the only member of Congress whose campaign employs family: USA Today found that 32 members of Congress in 2012 spent more than $2 million to pay immediate family members with campaign money. But that number might be greater because, as in Walden's case, lawmakers might be hiring stepsiblings or in-laws who are harder to detect because they have different last names than the member of Congress. Earlier this month, The Des Moines Register reported that U.S. Rep. Steve King (R-Iowa) has employed his son and daughter-in-law as full-time campaign staffers for the past 13 years, for a total of more than $805,000. Critics don't like the practice. However, as long as members of Congress say salary and expenses for family count as legitimate campaign expenditures, they can spend contributions however they want. "There's been a long controversy about what constitutes the personal use of campaign funds," says Meredith McGehee, strategic adviser for the Campaign Legal Center in Washington, D.C. Unless the Federal Elections Commission receives a complaint, it typically does not investigate. McGehee says her organization and others have asked the FEC to crack down on nepotism, but the agency has been unwilling to do so. "The honest answer," McGehee says, "is [that] the FEC would not go there."